Mike Frysinger Revert "ChangeLogs: convert to utf-8"
* sysdeps/powerpc/fpu/s_copysign.S: Use L() instead of local labels. explaining why. Remove K&R compatibility. this is no ELF platform. * dlfcn/dlfcn.h: Remove DL_CALL_FCT definition here. * sysdeps/generic/bits/dlfcn.h: Define DL_CALL_FCT here. * sysdeps/mips/bits/dlfcn.h: Define DL_CALL_FCT here. * sysdeps/generic/libc-start.c: Fix typo in comment. * configure.in: Unify machine names rs6000 and powerpc. accordance with usage in glibc 2.1.3.
temporary array for the mergesort. * stdlib/canonicalize.c: Include <stddef.h> for ptrdiff_t. * conform/data/fcntl.h-data: Correct various bugs. * grp/grp.h (getgrent_r): Declare only if __USE_GNU. * include/sys/time.h (__itimes): Fix type of second parameter. * io/sys/stat.h (S_IFLNK): Define also if __USE_XOPEN. * io/sys/statvfs.h: Define fsblkcnt_t and fsfilcnt_t. NOEXPR, YESSTR, and NOSTR only available if __USE_GNU. * posix/unistd.h: Don't define ptrdiff_t. (sbrk): Correct type of parameter. * sysdeps/generic/getpriority.c: Fix type of second parameter. * sysdeps/generic/utimes.c: Fix parameter of third parameter. * sysvipc/sys/sem.h (struct sembuf): Make sem_num field unsigned. struct sem_undo to struct __sem_queue and struct __sem_undo resp. * time/time.h: Define suseconds_t if not already done. * sysdeps/unix/sysv/linux/bits/statvfs.h: Rename f_spare to __f_spare. * sysdeps/generic/bits/libc-lock.h: Define __libc_rwlock_* stubs. * po/de.po: Update from translation team. not been added to glibc 2.1.3. * Versions.def: Remove 2.1.3 entry for math. * sysdeps/alpha/fpu/fclrexcpt.c: Change default version to GLIBC_2.2. we don't need to disable the warnings anymore, remove them. * configure.in: Allow sed 3.02 or newer versions. * sysdeps/powerpc/elf/bzero.S: ...here. New file. * sysdeps/generic/environ.c: ...here. New file. fixed, we don't need to disable the warnings anymore, remove them. * posix/regex.c (regex_compile): Remove unused variables. Handle / in header names correctly. * misc/sys/mman.h: Define off_t and mode_t if not already done. * streams/stropts.h: Define gid_t and uid_t if not already done. * sysdeps/gnu/bits/ipc.h (IPC_INFO): Only define if __USE_GNU. * sysvipc/sys/msg.h: Don't include sys/types.h. Define time_t, pid_t, and ssize_t if not already done. (struct msgbuf): Define only if __USE_GNU. * sysdeps/generic/bits/msq.h: Include bits/types.h, not sys/types.h. (MSG_EXCEPT): Only define if __USE_GNU. * sysdeps/generic/bits/stropts.h (I_GWROPT): Renamed from I_GWRSET. (FLUSHBAND): Only define is __USE_GNU. (struct strrecvfd): Rename fill to __fill. problems fixed by the last changes to wordexp.c. * stdlib/stdlib.h: Handle definition of wait macros correctly. * posix/sys/wait.h: Add missing #endif. * stdlib/stdlib.h (setstate): Don't mark argument as const (yet). * include/stdlib.h: Fix prototypes of __initstate and __setstate. * manual/time.texi (Precision Time): Fix typo. Patch by John Tobey <jtobey@ne.mediaone.net>, PR libc/1576. * conform/conformtest.pl (@headers): Add string.h and strings.h. * stdlib/stdlib.h [__USE_XOPEN]: Define WEXITSTATUS etc. * sysdeps/generic/bits/waitflags.h: Allow including from stdlib.h. members properly on error returns. Patch by Geoff Clare <gwc@unisoft.com>. of width table is 4-byte aligned. (ctype_output): Write out the entire width array. * dlfcn/dlopen.c: Include <stddef.h> for NULL. * conform/conformtest.pl (@headers): Add stdlib.h. * dlfcn/dlfcn.h (RTLD_DEFAULT): Don't use NULL. * iconv/iconv.h (iconv): Fix prototype. * misc/search.h (struct entry): Fix type of element data. * posix/unistd.h (getpagesize): Declare as const function. * signal/signal.h [__USE_XOPEN]: Define uid_t. (sigstack): Correct type of first parameter. Change type to `long int'. * conform/conformtest.pl: Correct bugs. Add more functionality. Reported by Yoshito Kawada <KAWADA@jp.ibm.com>. Reported by Kaoru Fukui <k_fukui@highway.ne.jp>. * malloc/Makefile (tests): Add tst-valloc. IPV6_RTHDR_TYPE_0 to synch with RFC 2292. * po/gl.po: Update from translation team. * timezone/antarctica: Update from tzdata2000b. * po/it.po: Update from translation team. * sysdeps/unix/sysv/linux/arm/mmap64.S: Fix off by one error. * sunrpc/rpc_main.c (checkfiles): Add comment to help translators. _libc_fpreg and _libc_fpstate and use it to define fpregset_t. definition compatible with definition in 2.1.2 and before. * string/bits/string2.h (strnlen): Add cast to prevent warning. if more than one IP address is available. * sysdeps/unix/sysv/linux/sparc/bits/termios.h: Sync with kernel. * po/pl.po: Update from translation team. * sysdeps/i386/fpu/libm-test-ulps: Add one value for AMD K7. * math/libm-test.inc (nearbyint_test): Add some tests. terminated names of character in range. * stdio-common/vfprintf.c (vfprintf): Initialize thousands_sep. Define and initialize use_outdigits in the inner loops. not exist. Patch by Miloslav Trmac <mitr@volny.cz> (PR libc/1601). enable it. Patch by Miloslav Trmac <mitr@volny.cz> (PR libc/1600). * elf/rtld.c (dl_main): Fix check for references to dynamic linker. /proc/cpuinfo works on later version NetWinders. so test for overflow and handle it. Patch by Miloslav Trmac <mitr@volny.cz> (PR libc/1563). * iconvdata/Makefile (modules): Add UTF-16. * iconv/gconv_builtin.h: Remove UTF-16 entries here. * iconv/gconv_simple.c: Remove conversion functions to and from UTF-16. declaration to place where it's needed to avoid compiler warning. * locale/weightwc.h (findidx): Correct find index value. * locale/nl_langinfo.h: Add casts to prevent warnings. * wctype/iswctype_l.c: Use correct types for mapped data. * wctype/wcfuncs.c: Add one more comment for clarification. * wctype/wcfuncs_l.c: Use __ctype32_tolower and __ctype32_toupper. (elf_machine_rel): Use R_MIPS_REL32 for RESOLVE. file and make dependend on RESOLVE. 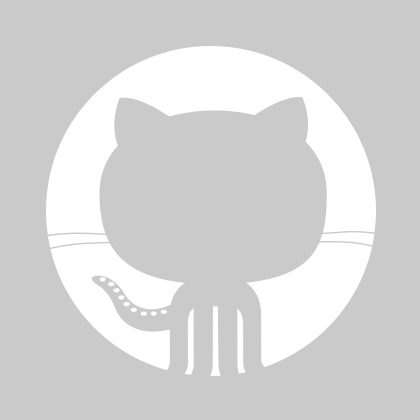 (ELF_MACHINE_RUNTIME_TRAMPOLINE): Fix arguments to _dl_lookup_symbol. (RESOLVE_GOTSYM): Fix arguments to _dl_lookup_symbol. * sysdeps/unix/sysv/linux/i386/shmctl.c: Fix handling of save_errno. * locale/weightwc.h: Fix problem with collating-element. character collating-symbol, which has no wide strings. * time/strptime.c (strptime_internal): Fix pointer dereference. shmctl): Make them EXTRA as __old_* and as GLIBC_2.0 symbols. optstring is a colon (PR libc/1584). and elf_* types to interpret values passed up from the kernel. Patch by Franz Sirl <Franz.Sirl-kernel@lauterbach.com>. * manual/locale.texi: Update to reflect change. * malloc/Makefile (distribute): Add memprof.h. Make syscall directly, no stubs needed. * iconvdata/gconv-modules: Add aliases CN-GB and CN-BIG5. Reported by Bruno Haible <haible@ilog.fr>. * stdio-common/printf-parse.h (parse_one_spec): Set wide elements. * stdio-common/printf_fp.c: Truely support wide characater output. * locale/indigitswc.h: Dereference wcdigits array elements. path to copy on error. * misc/syslog.c (closelog): Reset LogType to SOCK_DGRAM. * sysdeps/arm/fpu/fpu_control.h (_FPU_DEFAULT): Set the AC bit. * intl/Makefile (generated): msgs.h is generated. * localedata/Makefile (generated-dirs): Add de_DE.437. * config.make.in: Allow default localedir to come from configure. * inet/Makefile (tests): Add tst-network. Based on a patch by Hiroyuki Machida <machida@sm.sony.co.jp>. * sysdeps/unix/sysv/linux/mips/sys/syscall.h: Add new syscalls. * sysdeps/unix/sysv/linux/mips/syscalls.list: Add missing syscalls. * sysdeps/unix/sysv/linux/mips/sigcontextinfo.h (GET_PC): Fix typo. c_ispeed and c_ospeed which are not implemented. for cancelation wrapper; use __ASSUME_PWRITE_SYSCALL macro. * sysdeps/unix/sysv/linux/mips/sys/ucontext.h: Add missing ints. * sysdeps/mips/elf/start.S: Rewritten for __libc_start_main. Patch by Miloslav Trmac <mitr@volny.cz>. type of plane_size and plane_cnt to uint32_t. Use a different guard define than linux/sparc/sysdep.h. print. Add checks for _POSIX_MMAPPED_FILES where necessary. (_nl_unload_locale): If locale data was mmapped use munmap. _EXTERN_INLINE, compile inline assembler functions only with gcc. * catgets/catgets.c (catopen): Handle NL_CAT_LOCALE correctly. * catgets/gencat.c (read_input_file): Remove messages correctly. Patches by Geoff Clare <gwc@unisoft.com> (PR libc/1559). Patch by Jens Moeller <jens.moeller@waii.com> (PR libc/1558). interface with symbol version GLIBC_2.2. * sysdeps/unix/sysv/linux/i386/sys/io.h: Change "::" to ": :" for g++. correct place to avoid uninitialized memory passed to writev. * configure.in: Add check for recent enough sed version. * locale/C-monetary.c: Add initializers for new fields. thousands separator info in wide character form. * stdio-common/Makefile (routines): Add _i18n_itoa and _i18n_itowa. (distribute): Add _i18n_itoa.h and _i18n_itowa.h. * stdio-common/printf-parse.h: Parse 'I' flag. * stdio-common/printf.h (struct printf_info): Add i18n field. * Make-dist (+sysdep-tscrs): Add libm-test-ulps. * locale/Makefile (distribute): Remove nonexisting files. * sysdeps/powerpc/fpu/Dist: ...here. New file. * nss/Makefile: Distribute files for new libdb interface. * math/Makefile (distribute): Add README.libm-test. * libio/libioP.h [!_G_HAVE_MMAP]: Define ALLOC_WBUF. version check since we're using cpp. * manual/stdio.texi: Document ,ccs= option for fopen. * wcsmbs/wcsmbsload.c (__wcsmbs_named_conv): New function. * libio/iofclose.c: Free conversion data if stream was wide-oriented. * posix/fnmatch_loop.c: Fix problem with FNM_LEADING_DIR. * posix/testfnm.c: Add a few more tests. Rearrange test output. Patch by SL Baur <steve@xemacs.org>. * string/strxfrm.c: Don't count in the terminating NUL byte/word. deciding whether a character falls within a character range. * posix/regex.c (GET_UNSIGNED_NUMBER): Allow only ASCII digits. range, use the current collating sequence, as POSIX requires. (ctype_finish): ...here. Check for missing codeset name. * sysdeps/unix/sysv/linux/msgctl.c: ...here. Include ipc_priv.h. * sysdeps/unix/sysv/linux/semctl.c: ...here. Include ipc_priv.h. * sysdeps/unix/sysv/linux/shmctl.c: ...here. Include ipc_priv.h. * sysdeps/unix/sysv/linux/alpha/bits/msq.h: Remove private decls. so that setrlimit64@GLIBC_2.1 can report limits above 2G. setrlimit): Remove syscall stubs, add normal syscalls. * localedata/tst-locale.sh: Enable test for de_DE.437. * sunrpc/Makefile (routines): Add svc_tcp6, svc_udp6, bindrsvprt6. * sunrpc/rpc_main.c: Support `tcp6' and `udp6' transport types. simple assignment when copying addresses. * sysdeps/unix/sysv/linux/arm/mmap64.S: Correct check for ENOSYS. version, replacing old type name `__ss_align'. * sysdeps/generic/lseek64.c (__libc_lseek64): Renamed from __lseek64. (__lseek64, lseek64): Make these weak aliases for __libc_lseek64. * sysdeps/mach/hurd/lseek.c (__libc_lseek): Renamed from __lseek. (__lseek, lseek): Make these weak aliases for __libc_lseek. * sysdeps/mach/hurd/fcntl.c (__libc_fcntl): Renamed from __fcntl. (__fcntl, fcntl): Make these weak aliases for __libc_fcntl. * sysdeps/mach/hurd/open.c (__libc_open): Renamed from __open. (__open, open): Make these weak aliases for __libc_open. (anonymous enum for MSG_*): Likewise. (anonymous enum for SO_*): Likewise. * sysdeps/mach/hurd/setitimer.c (quantize_timeval): New function. quantized timer values to check if the timeout changed. * sunrpc/rpc/svc.h: Fix description for svc_register. * inet/rexec.c (rexec_af): Use SA_LEN instead of __libc_sa_len. fixes part 2 of bug 1549. * sunrpc/rpc_des.h: Remove unused defines. * intl/Makefile ($(objpfx)msgs.h): Do $(make-target-directory) first. * sysdeps/unix/sysv/linux/Makefile (sysdep_headers): Remove sys/io.h. and other inline functions for port access. * iconv/gconv_simple.c: Fix two problems in UTF-8 decoder. Patch by Bruno Haible <haible@ilog.fr>. them all at the end, eliding the final comma. (distribute): Add plural.y, po2test.sed, and tst-gettext.sh. * intl/gettextP.h (struct expression): Define. (struct loaded_domain): Add plural and nplurals members. Add prototypes for new internal functions. * intl/libintl.h: Declare new functions. Add optimizations for them. * intl/loadinfo.h: Add new parameter to _nl_find_msg declaration. header entry and parse and store the expression. * manual/message.texi: Document new interfaces. * intl/gettext.c: Call __dcgettext directly. return value for format string starting with '-' (PR libc/1551). * sunrpc/clnt_perr.c (rpc_errlist): Fix index for RPC_PROGVERSMISMATCH. Patch by jens.moeller@westgeo.com (PR libc/1550). and compute it where necessary. (collate_output): Insert indirect references in the right order. * math/Makefile (tests): Add test-misc. with exponent >31 and < 63 (PR libc/1548). * posix/regex.h: Update comment of RE_SYNTAX_POSIX_MINIMAL_EXTENDED. (handle_ellipsis): Correctly enqueue new element. * sysdeps/unix/sysv/linux/i386/lxstat.c: New file, handles 32bit UIDs. _STAT_VER_KERNEL handling up; don't save errno. * iconv/loop.c (COUNT_CONVERTED): Remove macro, comment, and all uses. Remove done variable and all uses. * iconv/skeleton.c: Update comment for *written modification. * iconv/gconv_int.h (__gconv): Update comment. * posix/fnmatch.c (ISWCTYPE): New macro. (BTOWC): New macro. Define it instead of __btowc. wcsrtombs. Call wctype, not __wctype. * inet/Versions: Add new functions added on 2000-01-17. * dirent/dirent.h (getdentries): Correct prototype to use __off64_t. * timezone/antarctica: Update from tzdata2000a. address. Suggested by Philip Blundell. * sysdeps/unix/sysv/linux/internal_statvfs.c: ...here. New file. open call would require read permission. Patch by James Antill <james@and.org>. * inet/getnameinfo.c: Terminate host name for NI_NOFQDN. PR1515. Patches by Hideaki YOSHIFUJI <yoshfuji@ecei.tohoku.ac.jp>. * posix/regex.h (RE_SYNTAX_POSIX_EXTENDED): Add RE_CONTEXT_INVALID_OPS. * posix/bits/posix2_lim.h: Define RE_DUP_MAX correctly. Reported by Geoff Clare <gwc@unisoft.com> (PR libc/1522). AI_NUMERICHOST flag is set, return an error. Patch by Hideaki YOSHIFUJI <yoshfuji@ecei.tohoku.ac.jp>. * sysdeps/unix/sysv/linux/bits/alpha/ipc.h: Update for new ipc. * sysdeps/unix/sysv/linux/Versions: Add msgctl, semctl, shmctl. * sysdeps/unix/sysv/linux/pwrite64.c: Use proper prototype. available on sparc since 2.3.39. EINVAL if ruid, euid or suid are out of the range -1U .. 65534.
setresgid): Inherit standard linux/syscalls.list definitions. from 1989 change in ISO 639.
function; needed for 32bit uid support. * intl/locale.alias: Add entries for galician. try to get sequence from charmap with Uxxxxxxxx name. (charclass_charcode_ellipsis): Allow byte sequence missing. (read_writestring): Free allocated memory in case of an error. default values; we know it's UCS4. error if no repertoire map was loaded. twice, to define singlebyte and multibyte version. * posix/Makefile (distribute): Add fnmatch_loop.c. error message when repertoire map is missing. * locale/programs/repertoire.h (repertoire_complain): Add prototype. before trying to map from repertoire. * stdlib/longlong.h: Fix typo in last patch. Based on a patch by Chris Wing <wingc@engin.umich.edu>. sigcontextinfo.h headers are used to expect. (register_dump): Fix a typo in the printout. Avoid using reg_window, so that asm/ptrace.h is not necessary. * stdlib/longlong.h: Avoid using __sparc_v9__ ifdefs. to make it clear this file depends on __WORDSIZE. * Makeconfig (rpath-dirs): Remove db2. name as parameter, not pointer to repertoire structure. mmap2 is available when compiling but no at runtime. * iconvdata/Makefile: Add rules to build libISOIR165. * Makefile (install): Correct passing -r parameter to ldconfig. * iconvdata/gconv-modules: Add aliases ISO-IR-199 and ISO-IR-203. * sysdeps/i386/fpu/libm-test-ulps: Adjust some epsilons. * nss/getent.c: Add ipv6 support for hosts. configparms; modify to reflect current usage. resolution if the hints included AI_NUMERICHOST. infinite loop to avoid pulling in stdio in the dynamic linker. gregset_t, fpregset_t, and NGREG definitions. * sysdeps/unix/sysv/linux/mips/bits/errno.h: Remove K&R support. * sysdeps/arm/dl-machine.h (CLEAR_CACHE): System calls clobber R0. (dl_platform_init): Allow _dl_platform to be NULL. * nss/nss_db/dummy-db.h (struct db30): New. * nss/makedb.c: Move all database routines to db-open.c. (main): Adjust to interface changes. Load database early to initialize version dependend variables. * nss/db-open.c: Merge database routines from makedb.c. Define version dependend constansts as variables. (load_db): Check also for db 3. (db_cursor): New function from makedb; handles db 3 now. (dbopen): New function from makedb; handles db 3.
different in different DB versions. variables, add exportet interfaces from db-open.c. * nss/Makefile ($(objpfx)makedb): Link against db-open. * misc/error.c: Don't use `defined _LIBC', only `_LIBC'. * manual/socket.texi (Host Names): Fix example. Reported by Marco Budde <budde@telos.de>. not in parse_charmap. Try also the directories on the I18NPATH. * manual/texinfo.tex: Updated from latest official version. * debug/Makefile (distribute): Add frame.h. include the above file instead. * sysdeps/generic/backtrace.c (struct layout): Likewise. (GET_FRAME): Apply above to returned value. * sysdeps/posix/getaddrinfo.c: Add support for SOCK_RAW. Patch by YOSHIFUJI Hideaki <yoshifuji@ecei.tohoku.ac.jp>. * locale/programs/charmap.c (charmap_read): Fix typo. * iconvdata/Makefile: Add rules for ISO-8859-16 module. * iconv/iconv_prog.c (process_block): Add cast to avoid warning. * intl/locale.alias: Add lithunian entry. Reported by Kestutis Kupciunas <kesha@soften.ktu.lt>, PR libc/1507. * locale/programs/linereader.c: Remove #include of stringtrans.h. _nl_POSIX_name instead of "C" and "POSIX" strings. * ctype/ctype-info.c (__ctype32_tolower): Use _nl_C_CTYPE_tolower. Patch by Willian M Shubert <william.m.shubert@intel.com>. to obtain port mapping information. Avoid use of mprotect. * nss/nss_db/dummy-db.h (struct db24): Add missing field flags. (struct dbc27): Correct lock field. success, fix a memory leak and clean up function. * Makefile (install): Pass $(install_root) to ldconfig. Patch by Akira YOSHIYAMA <yosshy@tkf.att.ne.jp>. version of udiv_qrnnd in longlong.h. Patch by Eddie C. Dost <ecd@skynet.be>. * soft-fp/soft-fp.h (QItype, UQItype): New types used by longlong.h. needed for change in common symbol handing in newer binutils. ARM for kernels >= 2.3.35. * sysdeps/unix/sysv/linux/arm/mmap.S: Remove mmap64 alias. Optimise error handling a little. __ns_name_unpack since those are available in resolv/arpa/nameser.h. * string/bits/string2.h (__strsep_g): Don't handle empty __S special. * string/tester.c (test_strsep): Add one more test. * string/tester.c (test_mempcpy): New function. (test_memcpy): Test unaligned cases too. * posix/Makefile (tests): Add tst-mmap. * sysdeps/unix/sysv/linux/i386/mmap64.S: Handle unaligned offsets. (__ksc5601_sym_from_ucs): Add mapping back from U00AE and U20AC. * iconvdata/testdata/EUC-KR: Add Euro and Registered sign. * sysdeps/unix/sysv/linux/llseek.c: Formulate warning message stronger. * iconvdata/Makefile (distribute): Remove baltic.c. * sysdeps/posix/system.c: Correct return value for LINE == NULL. * signal/Versions [GLIBC_2.1.3] (libc): Export __sigsuspend. Reported by Philip Blundell <Philip.Blundell@pobox.com>. * nss/Makefile: Add rules to build makedb. * nss/nss_db/nss_db.h: Add definitions needed for makedb. depend on being linked against libdb. * Makeconfig (all-subdirs): Remove db and db2. * nss/nss_db/db-open.c: ...to here. New file. * nss/Depend: Depend in dlfcn, not db2. * nss/Makefile (libnss_db-routines): Add db-open. (libnss_db.so): Replace libdb dependency by $(libdl). Based on a patch by Zack Weinberg. * locale/programs/locfile-kw.gperf: New keyword translit_ignore. Don't write over end of array idx. * posix/regex.c: Handle also collation elements at end of range. * posix/PTESTS: Fix a few typos. no idea where this came from. * sysdeps/posix/sysconf.c: Remove _POSIX2_EQUIV_CLASS_MAX handling. * libio/strfile.h: Remove K&R compatibility. * nis/nis_intern.h: Remove K&R compatibility; add missing ints. * nis/rpcsvc/ypclnt.h: Remove K&R compatibility; reformat. * elf/dl-load.c: Likewise for __libc_read. * locale/C-collate.c: Add initializers for new entries. * locale/Makefile (distribute): Add elem-hash.h. * posix/regex.c: Implement collation class handling. * posix/regex.c (regex_compile): Implement equivalence class handling. * sysdeps/powerpc/dl-machine.c: Many minor formatting changes. * wcsmbs/wcscoll.c: Use multibyte character version. * string/strcoll.c: Prepare to be used for the wide character version. the (void) casts as now feraiseexcept returns a value. it interferes with the macros for AIX. unless it is needed in the multibyte character table. * locale/Makefile (categories): Remove commented-out old definition. to new_element if the wide char is not valid. definition cannot be represented as multibyte or wide char string. * resolv/resolv.h: Remove K&R compatibility. res_init should use the threaded specific context. * locale/langinfo.h: Add constants for wide character collation data. * locale/categories.def: Add appropriate entries for collate entries. total table size for fewer levels. Contributed by Richard Henderson, Jakub Jelinek and others. <asm/io.h>; remove K&R compatibility; add missing ints. * sysdeps/unix/sysv/linux/sys/io.h: Don't include <asm/io.h>. * manual/getopt.texi (Using Getopt): Document ordering of options. * sysdeps/unix/sysv/linux/llseek.c: Emit link time warning for llseek. Requested by Michael Deutschmann <michael@talamasca.wkpowerlink.com>. * elf/sprof.c (load_shobj): Fix error message. (generate_call_graph): Cast %*s length argument to int. int to avoid cast warnings. Separate into 32bit and 64bit versions. * iconvdata/Makefile (modules): Add ISO-2022-CN. Add link rules for this module. (distribute): Add iso-2022-cn.c and cns11643l2.h. * iconvdata/gconv-modules: Add entries for ISO-2022-CN module. * iconvdata/euc-tw.c: Correct parameter passed to cns11643l1_to_ucs4. Optimize recognition of escape sequences a bit. * iconvdata/Makefile (modules): Add GBGBK. * iconvdata/gconv-modules: Add entries for GBGBK modules. * stdlib/Versions: Export __cxa_atexit and __cxa_finalize. * stdlib/Makefile (routines): Add cxa_atexit and cxa_finalize. * stdlib/exit.h (flavor): Add ef_cxa. * stdlib/exit.c (exit): Handle ef_cxa exit functions. argument count for `syscall' to 7.
with more than five arguments. (DOARGS_5, UNDOARGS_5): Don't corrupt the calling stack frame. (collate_read): Call load_locale, not find_locale. wasn't defined in the file also initialize repertoire if possible. * locale/programs/ld-time.c (time_finish): Fix message string. correct type to prevnet warning. * locale/programs/localedef.c (load_locale): New file. * locale/programs/localedef.h: Add its prototype. * localedata/Makefile: Enable running tests again. * localedata/tests/test2.def: Adjust syntax to new specification. * localedata/tst-trans.sh: Redirect output of program into file. pass (at least) the test suite. * locale/Makefile: Don't link localedef statically anymore. (collate_read): Fix reading of collating elements. in the little optimization at the end. emit warnings. Provide default value for mon_decimal_point. * locale/programs/ld-collate.c (read_directions): Fix a few messages. a level or in none. of the index returned by findidx. * string/strcoll.c: Complete rewrite for new collate implementation. * locale/localeinfo.h: Remove declaration for removed variables above. * locale/weight.h: Complete rewrite for new collate implementation. * string/strxfrm.c: Complete rewrite for new collate implementation. transformation values for chars >255. * wctype/wctrans.c: Return pointer unmodified. if wait call returned with EINTR. Patches by Geoff Clare <gwc@unisoft.com> (PR libc/1497 and libc/1498). * locale/setlocale.c (setlocale): Allow setting LC_COLLATE again. collate functionality. Remove FORWARD_CHAR and ELLIPSIS_CHAR. (_nl_C_LC_COLLATE): Update for currently defined information. * intl/libintl.h: Remove dcgettext macro definition. * locale/iso-4217.def: Add NAD. Remove a few obsolete entries. also in recursive call. Patch by Joe Orton <joe@orton.demon.co.uk>. truncate64, ftruncate64, fstat64, lstat64, stat64 and mmap2. pointer to the syscall, not address of that pointer. has_no_truncate64 between truncate64 and ftruncate64. __ASSUME_STAT64_SYSCALL): Define on Sparc for kernels >= 2.3.35. __libc_pread, __libc_pread64, __libc_pwrite and __libc_pwrite64. * locale/lc-time.c: Extend structure era_entry. * sysdeps/arm/dl-machine.c (CLEAR_CACHE): Fix a2 value. Patch by Scott Bambrough <scottb@netwinder.org>. and remove definitions for NREGS, greg_t, gregset_t, and fpregset_t. * sysdeps/unix/sysv/linux/m68k/putpmsg.c: Add missing #. * sysdeps/unix/sysv/linux/mips/getmsg.c: Add missing #. * sysdeps/unix/sysv/linux/m68k/getpmsg.c: Add missing #. install_root should be an absolute file name. * iconv/gconv.c (__gconv): Deal with outbuf being NULL. buffer is given to place conversion descriptor in initial state. * iconvdata/johab.c: Correct completely broken conversion to JOHAB. * locale/categories.def: Remove most of the collate definitions. * locale/langinfo.h: Comment out corresponding definitions. function to generate output file. loop to compute default mapping. * include/string.h: Mark __strndup with __attribute_malloc__. * locale/langinfo.h: Always define CODESET. (CODESET): Define also as macro. Reported by Jim Meyering <meyering@ascend.com>. Provide default definition for __attribute_malloc__. * libio/stdio.h: Make tempnam with __attribute_malloc__. __libc_pread, __libc_pread64, __libc_pwrite, and __libc_pwrite64. * io/Versions: Export __libc_open64 and __libc_lseek64. * sysdeps/posix/open64.c: Help gcc generating better code. * iconvdata/Makefile (modules): Add ISIRI-3342. * iconvdata/gconv-modules: Add entries for ISIRI-3342. * malloc/Versions: Export __libc_freeres for GLIBC_2.1. Closes PR libc/1491. Patch by dervishd@jazzfree.com. * sysdeps/unix/sysv/linux/lxstat64.c: Likewise for lstat64. * sysdeps/unix/sysv/linux/xstat64.c: Likewise for stat64. * rt/aio.h: Remove erroneous __restrict declarations. do the job if it is there neither. Patch by David R. Conrad <drc@adni.net> (PR libc/1485). duplicate definition with function __nan. Closes PR libc/1487 reported by <diana@kai.com>. * string/bits/string2.h (__strsep): Help gcc optimizing string access. structures should now be complete. structures which are written out to the file. instead of in the dcgettext macro. glibc or systems with tsearch. * rt/Makefile (tests): Added tst-aio64. Added dependency rules for tst-aio64. * string/bits/string2.h: Fix patch from 1999-12-07.
don't run over end of string. pointer of last cursor element. (insert_value): Return nonzero value if nothing got inserted. (handle_ellipsis): Don't do anything if to-value cannot be inserted. Copy sa_flags into kernel sigaction structure. * nis/ypclnt.c: Correct handling of cached client handles. * nis/nss_compat/compat-grp.c: Make sure errno is always set correct. Map if available, optimize query if name/port and protocol is known. ellipsis work. Remove old and unused code. * locale/programs/ld-collate.c: Implement "copy" in LC_COLLATE. of collation definition (still not complete). errno to ENOENT when returning NSS_STATUS_NOTFOUND. Reported by Christian Starkjohann <cs@obdev.at>. * sysdeps/i386/fpu/libm-test-ulps: Added some ulps. * stdlib/longlong.h: Update from latest egcs version. has to preceede __attribute__, otherwise g++ barfs. mutex_t work as an `in-use' flag even without threads. for multiple arenas separately from NO_THREADS. fall back to an mmap()ed arena when sbrk() has failed. oldsetrlimit rules into 32-bit arch subdirs. first symbol the cursor can be the same as the next pointer. default values in it and install defined mappings. headers are not clean enough. * sysdeps/unix/sysv/linux/getrlimit.c: Remove K&R compatibility. * sysdeps/unix/sysv/linux/i386/mmap.S: Allow using mmap2. * ctype/Versions: Add __ctype32_tolower and __ctype32_toupper. * ctype/ctype-info.c: Define __ctype32_tolower and __ctype32_toupper. Don't compile it names of 14652 classes and maps. * locale/programs/ld-ctype.c (struct locale_ctype_t): Add map32. (ctype_output): Write out map32 values. (allocate_arrays): Compute mapping tables correctly. * wctype/wcfuncs.c (towlower): Use __ctype32_tolower. * wctype/wctype.h: Optimize towupper and towlower for values < 256.
only IPv6 address. Reported by Artur Frysiak <wiget@pld.org.pl>. pointers if character is illegal. * iconv/gconv_db.c (gen_steps): Set __counter initialy to 1. (increment_counter): New function. Broken out of find_derivation. the derivation was already available. * iconv/gconv_dl.c: Add debugging functions. (known_compare): We have to use strcmp. * iconvdata/sami-ws2.c (CHARSET_NAME): Fix typo. * iconvdata/iso_2033.c (CHARSET_NAME): Fix typo. * iconvdata/ecma-cyrillic.c (CHARSET_NAME): Fix typo. * locale/programs/xstrdup.c: It's _LIBC, not __LIBC. (FUNCTION_NAME): Use res_ninit instead of res_init. (INTERNAL): Use thread aware res_ninit function. * Versions.def: Add version GLIBC_2.2 for libpthread. Add versions GLIBC_2.1 and GLIBC_2.2 for libresolv. * include/resolv.h: Add internal interfaces. * resolv/Makefile (routines): Add new files. * resolv/gethnamaddr.c: Use thread safe resolver functions. * resolv/arpa/nameser.h: Update from Bind 8.2.2-P5. Add new interfaces with version GLIBC_2.2 to libresolv. * resolv/ns_name.c: New file from Bind 8.2.2-P5. * elf/Makefile (extra-objs): Added ldconfig-modules. Added vpath for xstrdup and xmalloc. Check for use-ldconfig instead of has-ldconfig. ($(objpfx)ldconfig): New rule with dependencies. developed together with Jakub Jelinek <jakub@redhat.com>. * Makefile (install): Remove flag -d in ldconfig call. values. Patch by David Grothe <dave@gcom.com>. * locale/lc-time.c (_nl_get_era_nf_entry): New function. * locale/lc-time.c (_nl_get_era_year_offset): New function. * locale/lc-time.c (_nl_get_era_year_start): New function. * locale/localeinfo.h: Declare new functions. * posix/regex.c (SYNTAX): Make more portable. Patch by Aharon Robbins <arnold@skeeve.com>. nonzero, use cthread_fork to create the signal thread. signal thread's current SP and the threadvar_stack variables. * hurd/Versions (GLIBC_2.1.3): Add cthread_fork, cthread_detach. These are now referenced weakly by _hurdsig_init. without HURD_DPORT_USE to clean up warnings. * hurd/hurdioctl.c (rectty_dtable): Renamed to install_ctty. the critical section while we holding the dtable lock. the port cell and calling rectty_dtable. (_hurd_locked_install_cttyid): New function, split out of install_ctty. (install_ctty): Use it inside a critical section, with the lock held. after proc_setsid, having held the dtable lock throughout. serializes us after any cttyid change and its associated dtable update. * sysdeps/mach/hurd/nfs/nfs.h: New file, empty but for comments. Its presence lets librpcsvc compile ok. This from Mark Kettenis. We don't install this file for users. Patches by Marcus G. Daniels <mgd@santafe.edu>. oldgetrlimit64 and oldsetrlimit64 for subdir = resource. getrlimit64 and setrlimit64 to version GLIBC_2.1.3. new kernel version. Add symbol versions. * sysdeps/generic/sys/ptrace.h: Remove K&R compatibility. * malloc/set-freeres.c: Really use already_called variable. * configure.in: Add AIX 4.3 support. standard was issued in 1992. * manual/time.texi (Basic CPU Time): Better describe wrap around. Patch by Andries Brouwer <Andries.Brouwer@cwi.nl>. * iconvdata/gconv-modules: Fix typos in LATIN8/L8 aliases. * sysdeps/unix/sysv/linux/sparc/sys/ptrace.h: Remove K&R compatibility. and __bswap_64_r to avoid clash with __bswap_32 macro. patch. Use wch instead of idx to compute index. Patch by Shinya Hanataka <hanataka@abyss.rim.or.jp>. * inet/rcmd.c (ruserok): Use iruserok2 not iruserok. * locale/iso-3166.def: Update from latest official list. * libio/libioP.h: Remove duplicate declaration of _IO_wsetb. * inet/rcmd.c: Include stdlib for declaration of free. state. Reported by Andrew Clausen <clausen@alphalink.com.au>. Patch by Michael Deutschmann <michael@talamasca.wkpowerlink.com>. * include/sys/mman.h: Remove K&R compatibility. out byte sequence to get to initial state at the end of the file. * Makeconfig: Include sys-dirs and sys-sorted earlier. ($(common-objpfx)soversions.mk): Wait until subdirs is complete. Patches by Neil Booth <neil@rosenet.ne.jp>. * include/string.h: Remove K&R compatibility. * sysdeps/unix/sysv/linux/bits/signum.h (SIGSYS): New definition. which was reported to not work (which proofed to be wrong). * iconv/skeleton.c: It's __is_last, not is_last. (find_idx): Correctly increase array size. Patches by Shinya Hanataka <hanataka@abyss.rim.or.jp>. * include/sys/select.h: Remove K&R compatibility. * sunrpc/rpc_clntout.c (printbody): Fix -CLMNab output. twice if SIGPWR is defined to SIGLOST. not signed, so we should not special case it for negative args. memmove, use the one provided in memcpy.S. copies like memmove, while the previous version worked like memcpy. * po/cs.po: Update from translators. * sysdeps/mips/dl-machine.h (elf_machine_dynamic): New function. (elf_machine_got): Removed, not needed anymore. (_RTLD_PROLOGUE): We use gcc, no need to check for __STDC__. * sysdeps/mips/mips64/dl-machine.h: Apply same patches. file be equal to file size. * stdlib/longlong.h: Add count_trailing_zeros back. Patch by Maciej W. Rozycki <macro@ds2.pg.gda.pl>. 14652-style definition of new maps and classes. individual error message if nothing is defined. '\a', so don't bother optimizing for it. the rlimits structure passed in. * include/sys/resource.h (__setrlimit): Add prototype. Patch by David Mosberger <davidm@hpl.hp.com>. classes and mappings of ISO 14652.
to not consists of tok_bsymbol (for now). (strptime_internal): Allow %C without %y. other categories when printing the value. * locale/locale.h: Correct comment about LC_ALL. nelems. Correctly compute index for additional character classes. recognize arbitrary strings as mapping names. and format for wide characters. * wctype/wctrans.c: Fix after removal of second endianess table. * wctype/wctype.h (_ISwbit): Correctly handle bits > 16. * wcsmbs/wcwidth.h (internal_wcwidth): Reject non-printable characters. * wcsmbs/wcswidth.c (wcswidth): Don't forget to decrement counter n.
* sysdeps/unix/sysv/linux/grantpt.c (grantpt): Add support for devfs. * sysdeps/unix/sysv/linux/getpt.c (__getpt): Check for devfs. Patch by German Jose Gomez Garcia <german@pinon.ccu.uniovi.es>. * sysdeps/gnu/netinet/tcp.h: Add TCP_CORK definition. defines from Linux scsi_ioctl.h header. * shlib-versions: Allow mipsel for libm. * math/fenv.h: Fix typos in comments. Reported by Andreas Schwab. value for alpha and alnum correctly. * timezone/asia: Update from tzdata1999j. * sysdeps/unix/sysv/linux/sys/procfs.h: Remove duplicate definitions. * Versions.def: Remove predecessors. They now get computed. * sysdeps/unix/sysv/linux/execve.c: Add __syscall_execve prototype. Patches by Franz Sirl <Franz.Sirl@lauterbach.com>. * Versions.def (libc): Add GLIBC_2.1.3. to return the location of the null byte written into the string. (describe_number): Remove assert, not always used with #. If FLAVOR is null, don't use it. (describe_number): Take signed argument and print a - if negative. check for timeout and report its value. SEND_NAME, OPTION, and TIMEOUT to fill in with mach_msg args. * hurd/hurdlookup.c (__hurd_directory_name_split): New function. __file_name_split, so we ignore trailing slashes properly. * locale/C-ctype.c: Fix typo in char class name. * configure.in: Allow user so specify --enable-kernel=current. * nis/nss_nisplus/nisplus-publickey.c: Check for snprintf return value. * intl/locale.alias: Add Estonian entries. Patch by Marko Kreen <marko@et.ee> [PR libc/1444]. * Versions.def: Add version GLIBC_2.2 for libm. * math/Makefile (libm-support): Add new files. * math/Versions: Add new functions with version GLIBC_2.2. * sysdeps/unix/sysv/linux/setrlimit.c: Correctly use rlimits. * math/fenv.h: Include bits/fenvinline.h if optimizing. * sysdeps/powerpc/fpu/bits/fenv.h: Remove inline functions. Moved to..
* sysdeps/powerpc/fpu/bits/fenvinline.h: ...here. New file. * misc/tst-efgcvt.c: Also test ecvt_r and fcvt_r. according to changed snprintf return value. Reported by Lawrence K. Chen <lchen@opentext.com>. strncmp calls to allow reuse. the word ops will work if i18n'ed. (SYNTAX): And subscript with 0xFF for 8bit character sets. * timezone/checktab.awk: Update from tzcode1999h. * timezone/africa: Update from tzdata1999i. macros. Patch by brg@csua.berkeley.edu [PR libc/1439]. * posix/Makefile (tests): Added tst-getlogin. this fixes a memory leak (closes PR libc/1435). Reported by wes@surety.com, closes PR libc/1432. test for 'one bit set'. * posix/wordexp.c (wordexp): Explicit null words should be kept. (allocate_arrays): Completely initialize mapping tables. (time_finish): Correct handling of era. (time_output): Fix a few array indeces. (time_read): Pass the repertoire map to lr_token. * Versions.def: Add version for libthread_db. doesn't exist anymore, use @smallfonts instead. * sysdeps/unix/sysv/linux/sys/reboot.h: Remove K&R compatibility. declare glob64, to avoid a declaration clash. Keep the trailing slash unless DIRNAME is just "x:/". * math/Makefile (libm-tests-generated): Remove libm-test.stmp. * Makefile (pdf): New goal. * manual/Makefile: Add definitions and rules for PDF generation. * Versions.def (libm): Add GLIBC_2.1.3. ISO C99 TR1 changes various fe* functions to return an error value. feraiseexcept, fesetexceptflag, fegetenv, fesetenv, and feupdateenv. * sysdeps/alpha/fpu/fclrexcpt.c: Return value and add alias. * math/fenv.h: Adjust prototypes. : Likewise. * manual/arith.texi: Adjust documentation for these changes. * stdlib/longlong.h: Avoid UDIV_TIME redefinition. libraries from statically linked programs. fix for sigaction on SPARC. Patches by David S. Miller <davem@redhat.com>. ABI as well, not only 32bit ABI. by __USE_ISOC99 and update comments. * math/complex.h: Update comments for ISO C99. * manual/creature.texi (Feature Test Macros): Mention _ISOC99_SOURCE. * manual/math.texi (Errors in Math Functions): Correct TeX code. * manual/arith.texi (Parsing of Floats): Remove C from ISO C comment. * manual/math.texi: Change ISO C9x to ISO C99. * manual/arith.texi: Change ISO C9x to ISO C99. * manual/time.texi (Low-Level Time String Parsing): Likewise. * socket/Makefile (distribute): Add ifreq.h. origins of the formats with ISO C99 references. input format; mention that strtof and strtold are part of ISO C99. * manual/math.texi (Errors in Math Functions): New section. * manual/Makefile: Add rules for math function error table generation. * stdlib/tst-strtod.c: Add more hexadecimal tests. != 1 correctly and more than one digit before decimal point..
* resolv/res_hconf.c: Add missing includes to get all prototypes. (_res_hconf_reorder_addrs): Rewrite. This never worked before. Reported by John DiMarco <jdd@cs.toronto.edu>. (free_mem): New function, needed for malloc debugging. * sysdeps/generic/opensock.c (__opensock): ...here in a new file. * socket/Makefile (routines): Add opensock. * include/sys/socket.h (__opensock): Add prototype declaration. new constant from Linux 2.3.25pre1. struct sigcontext* object as second parameter for profil_counter. Patches by Jakub Jelinek <jakub@redhat.com>. * sysdeps/unix/sysv/linux/fpathconf.c (__fpathconf): Handle reiserfs. efs, qnx4 and reiser file systems. * debug/Makefile (generated): Add xtrace for make clean to work. * stdlib/tst-strtod.c: Add two testcases for hexadecimal input. * math/libm-test.inc: Added code to ignore the given max ulps. * stdlib/msort.c: Include <alloca.h> for prototype. Remove K&R compatibility and _quicksort prototype. Reported by Bernd Loechner <loechner@informatik.uni-kl.de>. Move prototype declaration to include/stdlib.h. Include <alloca.h> for prototype; include <limits.h> for CHAR_BIT. * include/stdlib.h: Prototype declaration for _quicksort. shifted a bit too much. Reported by Eugen Dedu <dedu@ese-metz.fr>. buflen. Patch by Olaf Kirch <okir@lst.de>. * configure.in: Don't allow --enable-kernel without parameter. remove weak alias for public names. * md5-crypt/md5.c: Remove weak aliase. * math/README.libm-test: New file, documents libm-test.inc. since those are not initialized with -n now. * math/gen-libm-test.pl (parse_ulps): Ignore 0 has ulp.